We’d love your help. 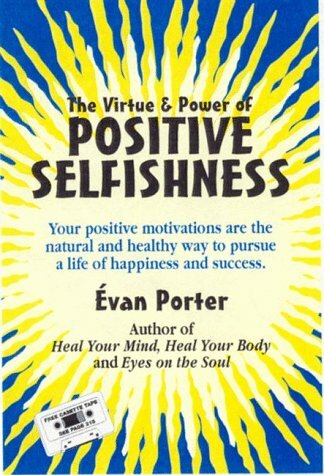 Let us know what’s wrong with this preview of Positive Selfishness, The Virtue and Power of Self Interest by Evan Porter. you discover and enhance your self-confidence and act in your own interests. interest. Surprisingly, my friends liked and respected me more." pursuing my own interests. I have found that I am less stressed, and so are my kids." independent of my family. They have benefited as much as I have." is: "How can we help others if we can not adequately help ourselves?" philosophy points us toward a radically different view of our relationship with the world. To ask other readers questions about Positive Selfishness, The Virtue and Power of Self Interest, please sign up.